My last week’s article on Reuben Abati’s abuse of the notion of metaphor in defense of his boss’ habitual verbal slip-ups attracted an inundation of responses from all over the country. But the one response that has forced me to revisit the issue is an email I received from an elderly man who follows this column religiously. He said while he appreciated my intervention, he thought I was more polemical than pedagogical, that is, that I stirred more (productive) controversy than I instructed. I don’t completely agree with this observation, but I understand the sentiment that inspired it. Since the gentleman looks forward to this column for analyses of English usage, he said he thought I would parse Abati’s article and point out its grammatical and stylistic errors for the benefit of my readers instead of getting political and combative. But I thought that by pointing out that Abati violated the meaning of metaphor—and showing how he did it— my article had an instructional appeal as well. I concede, though, that I was more concerned with unmasking deceit in the use of language than I was with laying bare the mechanics of language usage. But that was not the first time I did that. Abati is only an addition to a list of Nigerian public officials whose politically motivated language misuse I’ve had cause to call attention to. 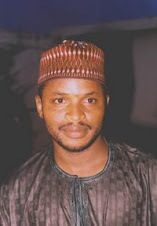 (See, for instance, these previous articles: “Yar’adua’s Health: Ambassador Aminchi’s Impossible Grammatical Logic” and “Sambawa and ‘Peasant Attitude to Governance’”). Well, in deference to this perfect gentleman for whom I have the greatest respect, I’ve decided to do a close textual analysis of the grammatical usage in Reuben Abati’s article. I am doing this more for my readers than to ridicule Abati. When you have a sentence that is made up of several parts that already contain commas and parentheses, the only appropriate punctuation to use to mark off the parts is a semicolon (;). So Abati’s sentence should have read: “These include, among others, Ayodele Akinkuotu’s “He who lives in Aso Rock does not throw gaffes,” TELL, February 20, 2012; The Nation, “Stoner” -in -Chief?” (Editorial, February 8); and Sam Omatseye’s “Circus show” (The Nation, February 11). Note that the semicolon is inserted even before the conjunction “and.” Also note the apostrophes I’ve fixed. 2. Subject-verb discordance. The basic rule of subject-verb agreement is that a singular subject always takes a singular verb (that is, a verb with an “s” at the end) and a plural subject always takes a plural verb (that is, a verb without an “s” at the end). Abati violated this basic rule in the very first paragraph of his article. In the first sentence, he wrote: “Some commentators have raised A HUE AND CRY over…” (my emphasis). Then he began the second sentence with the phrase “these include….” The phrase “a hue and cry” is a singular subject because of the presence of the indefinite article “a.” Because “a hue and cry” is the referent of the phrase “these include,” we have a case of subject-verb discordance here. It should correctly be “this includes.” In English grammar, the phrases “these include”/”this include” always refer to what comes before, not after, them. 3. Distortion of collocations. Abati violated the order of many fixed expressions in English. For instance, he wrote: “…there is a certain penchant abroad, evident also in these comments, namely the theatrical attempt to play to the gallery by those who seem to believe that belittling the Jonathan Presidency will make them popular no matter how unfair their conclusions may be.” Whoa! Can someone please give me water? First, that was one heck of an ungainly, poorly phrased sentence that could use some lexical and structural surgery. But I’m only concerned with the use of the word “penchant” in the sentence. That word always co-occurs with the preposition “for,” thus “penchant for.” The absence of “for” in the entire sentence deprives it of grammatical completeness. 4. Misuse of words: Abati said a certain newspaper columnist habitually excoriates President Jonathan “as if he writes solely to entertain an imaginable political audience.” The word imaginable is used wrongly in the sentence. He meant to write “imaginary political audience.” Imaginable means conceivable, capable of being thought of or believed, in the realm of possibility, etc. E.g. “It is imaginable that Reuben Abati knows he is an object of ridicule in Nigerian progressive circles.” Or “Abati invoked every imaginable falsehood to defend his boss.” Imaginary, on the other hand, means that which exists only in the imagination, i.e., something that is unreal. Abati clearly meant that the writer he is railing against imagines himself to be entertaining an audience that doesn’t exist in reality. 5. Abuse of literary terms. 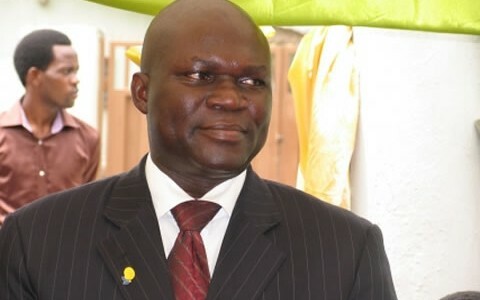 Although Abati likes to boast about getting his PhD in Theater Arts from the University of Ibadan in the space of two years at the age of 24—and about getting a First Class degree in the same discipline from the University of Calabar—he shows such a poor understanding of basic literary terminologies, his violence against metaphors being a prime example of this. But he did more than inflict violence on metaphors; he also clearly doesn’t know what the phrase “play on words” means, nor does he have a clue what figure of speech the Shakespearean expression “lend me your ears” belongs to. “Perhaps if these writers had enough sense of literary appreciation I might even go further and play on words and like Mark Antony to the Roman crowd, ask them to lend me their ears as I outline the tangible progress Nigeria has made under President Jonathan, but I fear that they may interpret my words literally: without the understanding that it is a figure of speech and therefore go to town with the headline that I want to cannibalize their ears!” Abati wrote. Well, the Shakespearean expression “lend me your ears” isn’t a “play on words”; it’s properly called a metonymy. A metonymy is a figure of speech that substitutes the name of an attribute or feature for the name of the thing itself. E.g. “heads” for human beings, “crown” for kings, name of an author for his or her works (as in: I’m studying Achebe), “Aso Rock” for the Nigerian presidency, “grave” for death, “ear” for attention, hence “lend me your ears,” etc. A play on words, or wordplay, is the deliberate contortion of words or phrases for amusement or for literary effect. Examples of word play are puns (about which I wrote some weeks back), spoonerisms (i.e., the deliberate mixing up of initial consonants in a pair of words for humorous effect, such as saying “I’m flabberwhelmed and overgasted” instead of the usual “I’m overwhelmed and flabbergasted”), etc. Abati would definitely benefit from a refresher course in basic grammar and figures of speech.